Prata, A.P.N. &amp; Simpson, D.A. (2009). Neotropical Cyperaceae. Perennial or annual herbs, terrestrial, rarely submerged aquatics, or scandent; perennial species rhizomatous, stoloniferous, bulbous, or subbulbous; annual species generally caespitose. Some genera have a caudex (e.g. 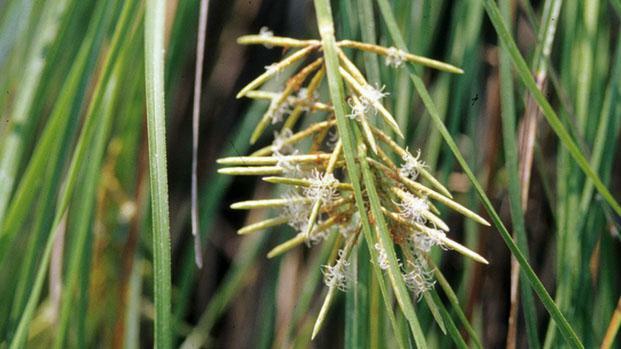 Bulbostylis). Culms usually trigonous to triquetrous, less often terete , flattened or irregular, formed by prominent ribs. Leaves basal or basal and cauline, generally tristichous with a closed sheath ; blade usually linear , glabrous , scabrous , hairy, hispid , with central midrib prominent , sometimes with an expanded, 3-veined blade (Hypolytrum, Mapania); ligules usually absent (but present in Scleria, Fimbristylis, Fuirena and Carex). Involucral bracts usually present, leaf-like or glume-like. Inflorescence simple to compound , lax to condensed and usually highly branched, paniculate, corymbose, spicate, or capitate , comprising 1 to many ultimate inflorescence units, these either indeterminate (= spikelets) or, in a few genera, determinate (= spicoids). Spikelets few to many, sometimes reduced to a single spikelet (Eleocharis), terminal or lateral comprising 1-many scales, usually spirally arranged, or sometimes distichous ; flowers bisexual , unisexual, or both types present; spicoids few to many, terminal , with 2-12 membranous scales on a much reduced axis , the lowest 2 scales opposite, keeled , the spicoid subtended and usually hidden by a larger scale-like bract ; flowers unisexual. Perianth absent or of 1-many bristles or scales. Stamens 1-3. Ovary superior , carpels usually 2-3, locule 1, ovule 1; style short to elongate, base thickened and sometimes persistent ; stigma usually 2-3-branched. Fruit a nutlet, nutlet-like or a nutlet protected by a utricle. Cyperaceae have high species diversity in the Neotropics. Of the 5,400 species described in 106 genera (Govaerts et al. 2007), 43 genera and approximately 1,000 species occur in the Neotropics. Brazil has 622 species in 43 genera (Alves et al. 2007). Poaceae - leaves alternate, distichous, with open sheath and a ligule present at the blade insertion; flowers with perianth reduced to 2 scales (lodicules), protected by a series of bracts (glumes, lemma, palea); fruit a caryopsis. Juncaceae - leaves spirally arranged, sheath open or closed; flowers trimerous; perianth of tepals; fruit capsular. Rhynchospora - Style-base persistent on the nutlet, often forming a beak; scales spirally arranged. Carex - Spikes unisexual or with staminate and pistillate flowers; pistillate flowers enclosed by a utricle. Cyperus - Inflorescence terminal; spikelets several to many per inflorescence; scales distichous; flowers bisexual; nutlet lenticular or trigonous; stigmas 2-3. Bulbostylis - Trichomes in the leaf sheath apex and stylopodium thickened and persistent in the nutlet apex. 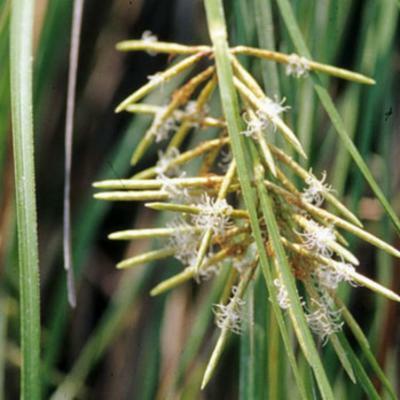 Eleocharis - Leaves reduced to sheath, scales generally imbricate, inflorescence unispicate, bisexual flowers with perianth reduced to bristles or absent and the style base persistent, dilated and articulated with ovary. Scleria - Spikelets unisexual, nutlet usually globose with hypogynium adnate to the base. Ovarysuperior, 2-3-carpellate, locule 1, ovule 1. 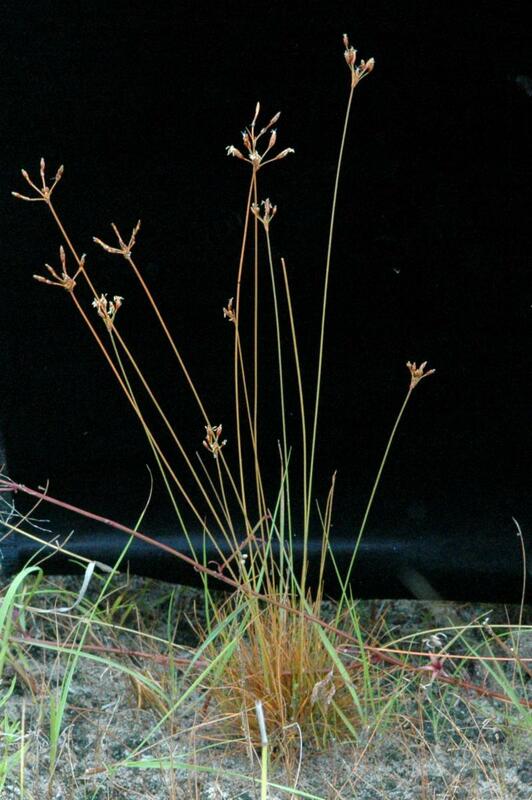 Persistentstyle base (stylopodium) in some genera (Bulbostylis, Eleocharis, Rhynchospora). Cosmopolitan, occupying diverse habitats, with a preference for open and wetland environments. The third largest family of monocotyledons and the seventh largest in the Angiosperms. 43 genera and approximately 1,000 species. Larger genera in Neotropics: Rhynchospora (250 spp. 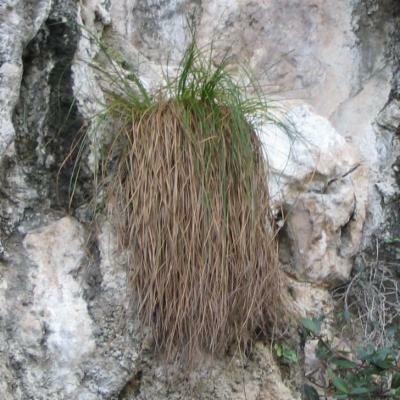 ), Carex (200 spp. ), Cyperus (150 spp. 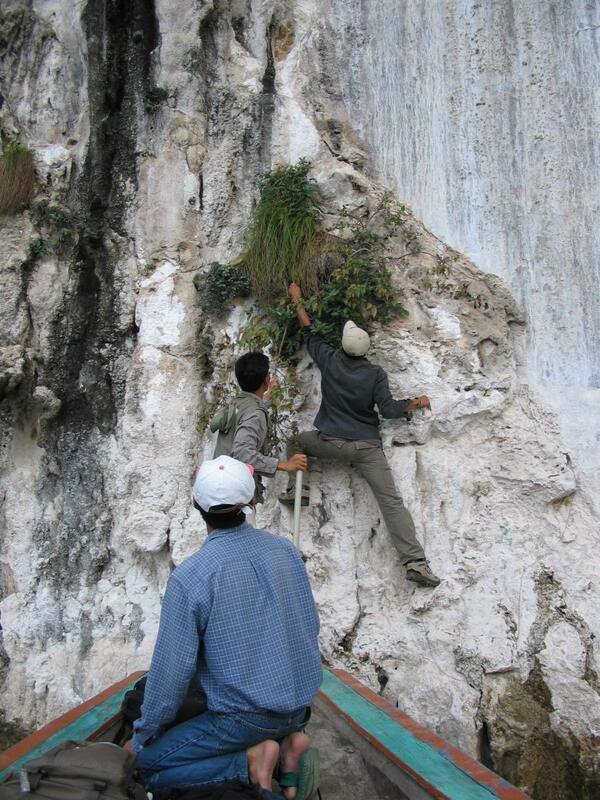 ), Bulbostylis (70 spp. ), Eleocharis (60 spp.) and Scleria (60 spp.). Koyamaea W. Thomas & Davidse. Because of their great morphological similarity, Cyperaceae and Poaceae were, for a long time, considered to be closely related families. 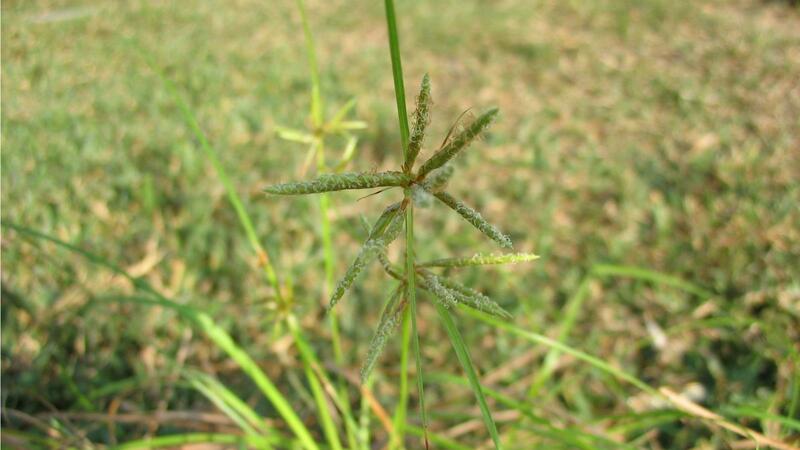 DNA studies have shown that Juncaceae (along with Thurniaceae) are the sister group of Cyperaceae, rather than Poaceae. Cyperaceae are divided into two subfamilies (Simpson et al. 2007): Cyperoideae and Mapanioideae: Cyperoideae - the most diverse subfamily. 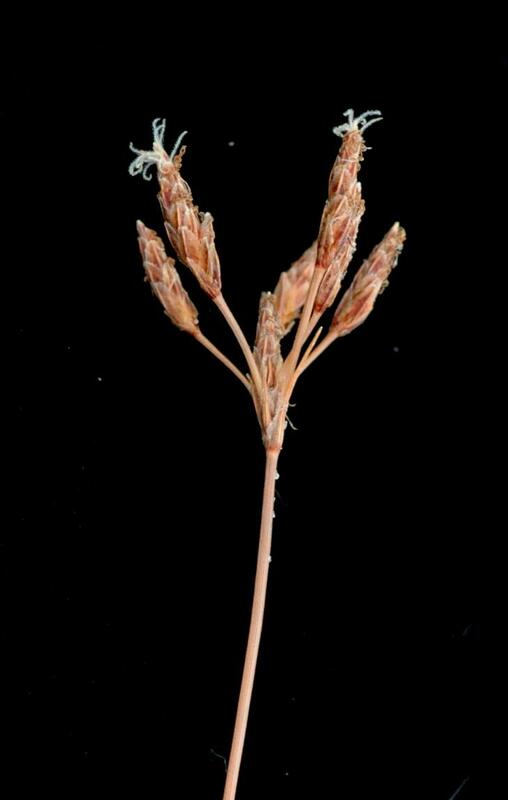 Members of this subfamily have spikelet-type inflorescence units with unisexual or biesexual flowers (Androtrichum, Ascolepis, Becquerelia, Bisboeckelera, Bulbostylis, Calyptrocarya, Carex, Cephalocarpus, Cladium, Cyperus, Didimiandrum, Diplacrum, Egleria, Eleocharis, Everardia, Exochogyne, Fimbristylis, Fuirena, Kyllinga, Lagenocarpus, Lipocarpha, Oreobolus, Pleurostachys, Remirea, Rhynchospora, Scirpus, Scleria, Trilepis, Uncinia); and Mapanioideae - members of this subfamily have spicoid-type inflorescence units with unisexual flowers. Many species occur in the herb layer of tropical rainforests (e.g. the Amazonian and Atlantic coastal forests) (Diplasia, Hypolytrum and Mapania). Alves, M., Araújo, A.C, Prata, A.P, Vitta, F., Hefler, S., Trevisan, R., Gil, A.B., Martins & S.,Thomas, W.W. 2007. Diversidade de Cyperaceae no Brasil. In: A Botânica no Brasil: pesquisa, ensino e políticas públicas ambientais (L. Barbosa & N. Santos Junior, orgs.). SBB, São Paulo, pp. 286-290. Bruhl, J.J. 1995. 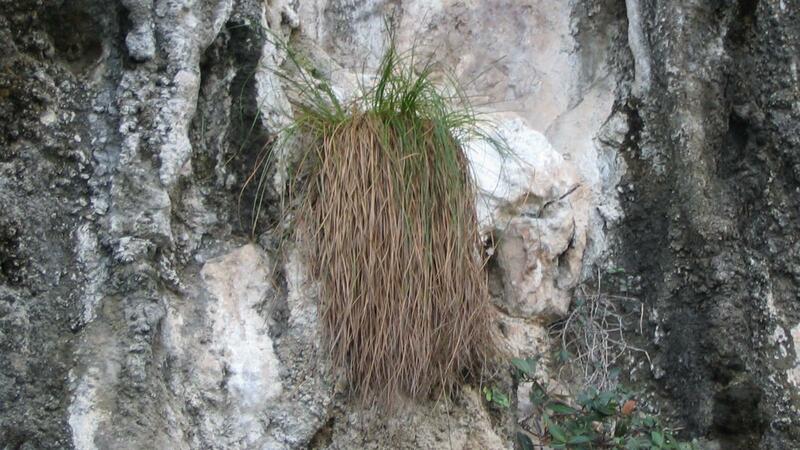 Sedge genera of the world: relationships and a new classification of the Cyperaceae. Australian Systematic Botany 8(2): 125-305. Govaerts, R., Simpson, D.A., Bruhl, J., Egorova, T., Goetghebeur, P., & Wilson, K. 2007. 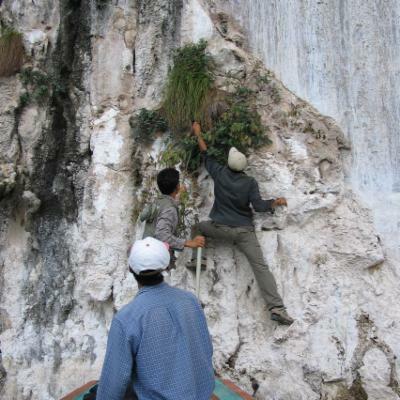 Word checklist of Cyperaceae Sedges. Royal Botanic Gardens, Kew. Kearns, D.M., Thomas, W.W., Tucker, G., Kral, R., Camelbeke, K., Simpson, D.A., Reznicek, A., González-Elizondo, M., Strong, M. & Goetghebeur, P. 1998. Cyperaceae In: Berry, P.E., Yatskievych, K. and Holst, B.K. (eds. ), Flora of the Venezuelan Guayana vol. 4, pp. 486-663. Missouri Botanical Garden, Press, St. Louis. Simpson, D.A., Muasya, A.M., Alves, M., Bruhl, J.J., Dhooge, S., Chase, M.W., Furness, C.A., Ghamkhar, K., Goetghebeur, P., Hodkinson, T.R., Marchant, A.D., Reznicek, A.A., Nieuwborg, R., Roalson, E.A., Smets, E., Starr, J.R., Thomas, W.W., Wilson, K.L., Zhang, X. 2007. 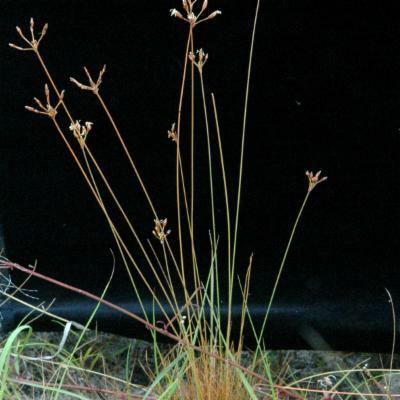 Phylogeny of Cyperaceae based on DNA sequence data - a new rbcL analysis. Aliso 23: 72-83. Thomas, W.W. 2004. Cyperaceae. In: Smith, N., Mori, S.A., Henderson, A., Stevenson, D.W. & Heald, S.V. (eds. ), Flowering Plants of the Neotropics, pp. 434-436. Princeton Univ. Press, Princeton. 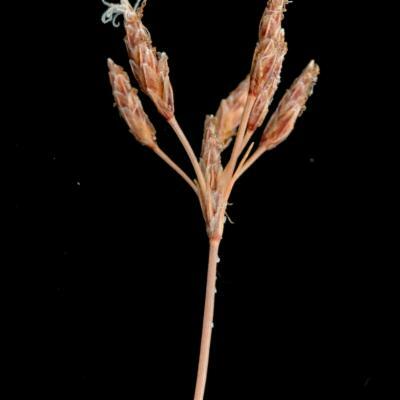 Spikelets with few to many flowers, each subtended by a glume (bract). Glumes spirally arranged or distichous. Ovary solitary and superior, 1-locular, of (2–)3 joined carpels; hypogynous scales or bristles absent or 3–6. Fruit a 1-seeded nutlet, sessile or nearly so, sometimes (in Carex, Schoenoxiphium) surrounded by a sac-like utricle. 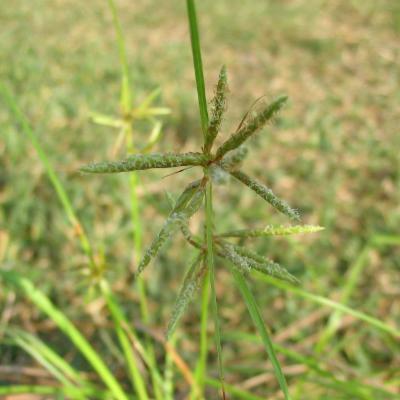 Often in moist conditions, and can be the dominant plants in wetlands. Carpha Banks & Sol. ex R.Br. Khaosokia D.A.Simpson, Chayam. & J.Parn.